An ancient evil has been unleashed. This Dark Cloud rains destruction on what was once a peaceful and benevolent continent, bringing it to its knees in one fell swoop. 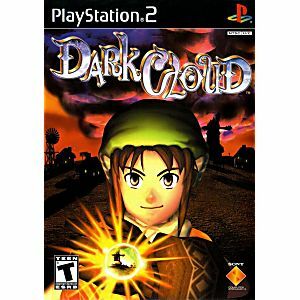 Set in a vivid and inviting world, Dark Cloud delivers imaginative, vibrant, and detailed gameplay complemented by a strong character-driven storyline. An innovative new feature, Georama, challenges you to build a customized world then interact with it in real time. As you build the world, life begins to flourish and unveils clues and pieces of the storyline as you progress through the adventure.This action/RPG will require you to battle your way through dungeons to collect vital artifacts with which you'll rebuild the game's world in real-time 3-D. 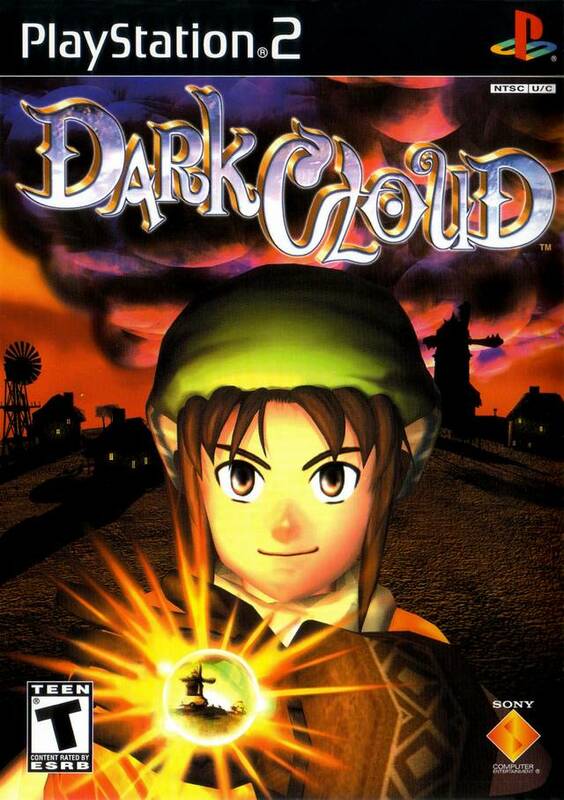 Journey on a quest through time to unravel the mysterious tale of the Dark Cloud. 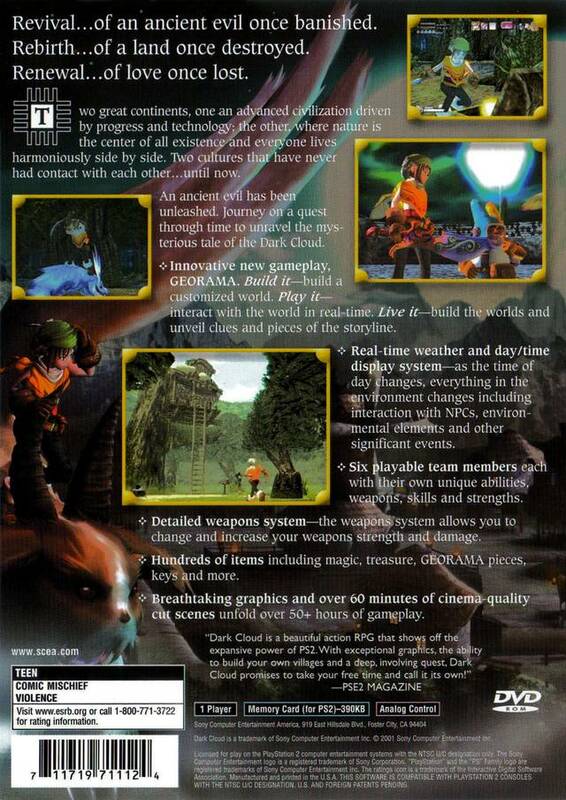 I have been playing this since 2001, at least 25+ times.love it now and forever. I have always been a fan of this game. I'm very pleased with the condition of the disk. Very low price. Overall, I'm a very happy customer. Yet to play, looks promising! Haven't gotten a chance to play the game yet but it arrived in great condition! NOT VERY GOOD to much back and forth in game.